Today I'm spotlighting a beautiful children's book about the power of friendship with a beloved dog. You could win your own copy and a $15 Amazon gift card by entering the giveaway! Dogs are smart, loyal, playful, a pleasure to raise and take care of. 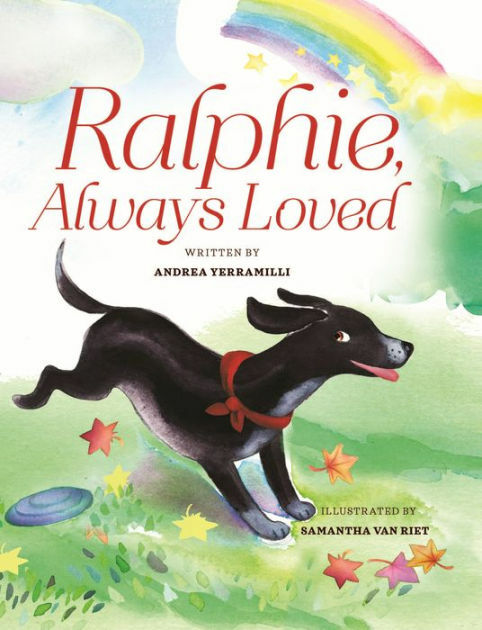 Ralphie Always Loved is a very special treasure of a book. My dog Bogie is just like Ralphie and is a Lap Dog Rescue dog. This delightful book is perfect for my granddaughters who have a dog and love him to bit. Dogs are intuitive, at least Bogoie is, loving, loyal and courageous. There are some amazing books being written and published for children of all ages, so much more appealing than those I recall from my childhood days of borrowing library books. It is also good to see that in most cases, illustrators share equal billing and credit, alongside the author. They are so talented, with great foresight and imagination. Children's authors have also grasped the concept of their stores containing messages, which can then be instilled from an early age. I agree that children's books today are more diverse and tackle all kinds of subjects. And I've come across some awesome illustrators too with unique ways of illustrating the stories using all kinds of different art methods. Dogs can sense when you are having a bad day and will try to cuddle with you to lift your spirits. That makes them special. I think this is one of the reasons they encourage seniors to have pet dogs.